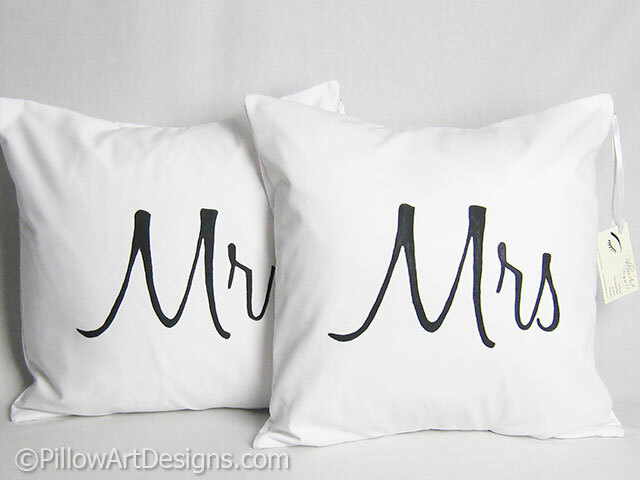 A simple but fun set of Mr and Mrs pillow covers, with mini name and date pillow included. Covers are made to fit a 16 inch X 16 inch pillow insert (not included). Mini pillow comes stuffed with hi loft polyester fiberfill, ready to enjoy, no need for an insert. 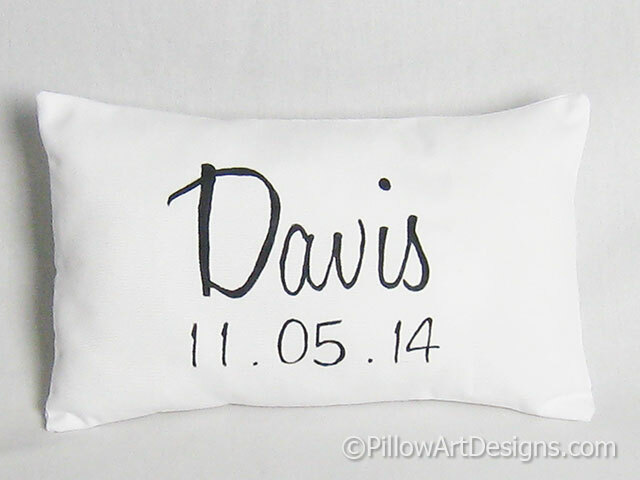 Mini pillow measures approximately 8 inches x 12 inches (may be adjusted wider for a longer name). 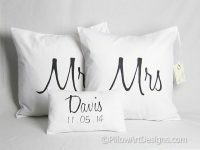 Fabric is white cotton twill, all covers are fully lined with white cotton polyester, giving them a nice fit and finish. To order, simply 'add to cart' and continue through checkout process. Don't forget to send me an email to let me know the name and the date you wish me to use for the mini pillow.